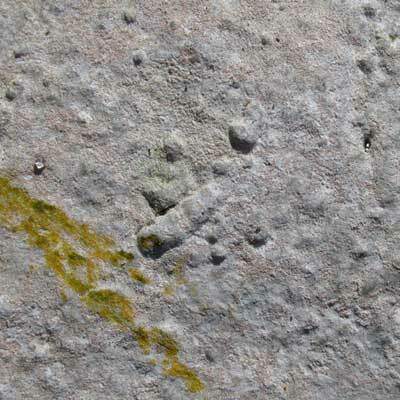 On the north-facing surfaces of old limestone churches and ancient castle walls in warm, sheltered spots around Ireland, look for this species growing like a white-grey crust in small coalescing patches up to several centimetres wide. 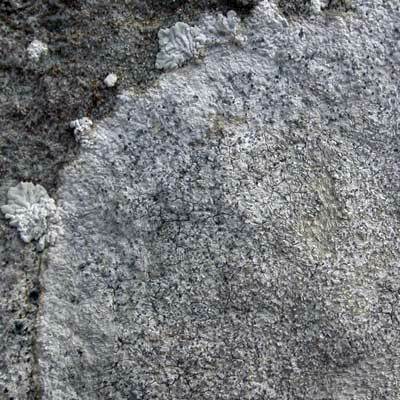 The grey crust is covered in a uniform dusting of powdery soredia so that it has a minutely speckled appearance. A fingernail dragged across the thallus should scratch orange. Discs are absent. Reactions: C+ rose-red, K-. Very thinly scattered in Ireland. 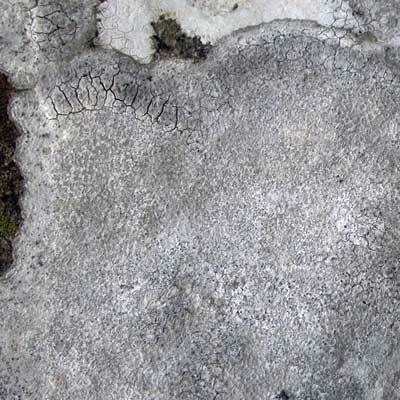 Thallus surface is grey sorediate which scratches orange with a fingernail; C+ rose-red. Simms, M. J., (2016). Dirina massiliensis forma sorediata (Müll.Arg.) Tehler. [In] LichenIreland.